Standard - Infrequent Access Storage Class (STANDARD_IA) - new Amazon S3 storage class for the infrequently accessed data. 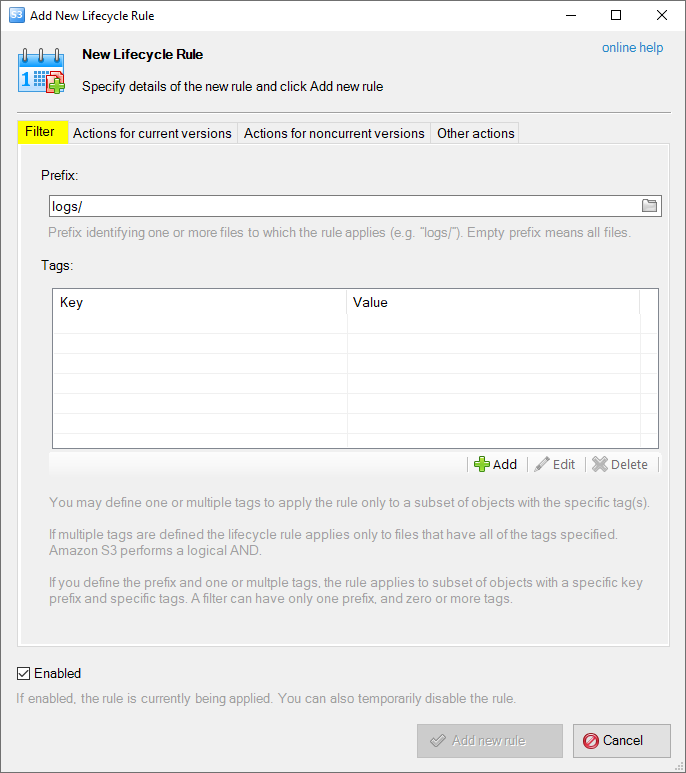 Apply the Standard-IA storage class during uploading. Amazon S3 team introduced the new storage class that allows you to reduce your storage costs for data that is accessed infrequently but still needs an immediate access. The new S3 Standard - Infrequent Access (Standard - IA) storage class offers the same high durability (99.999999999%), low latency, and high throughput of S3 Standard and inherits all of the existing S3 features including security and access management, data lifecycle policies, cross-region replication, and event notifications. Prices for Standard - IA start at $0.0125 per gigabyte per month with a 30 day minimum storage duration for billing, and a $0.01 / gigabyte charge for retrieval (in addition to the usual data transfer and request charges). You can find more details in the official AWS blog. Below we will describe how to take advantage of this new storage class with S3 Browser. 1. Start S3 Browser and select the file(s) and/or folder(s) you want to change storage class for. 3. S3 Browser will update storage class for selected files and refresh files list. 1. 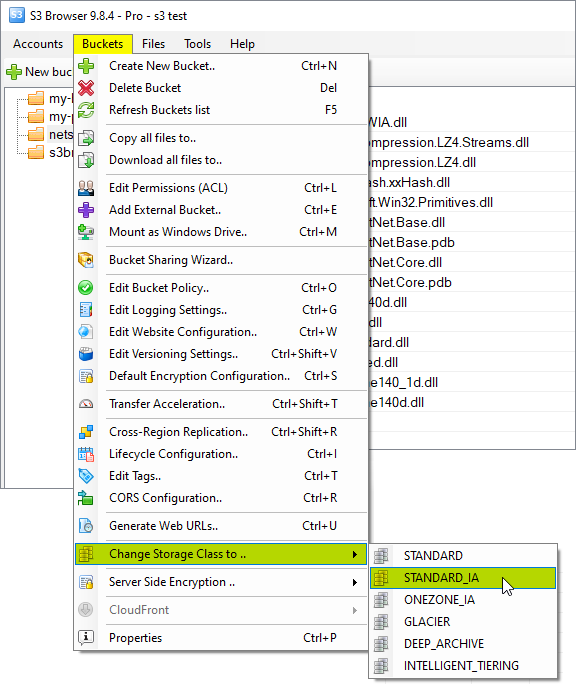 Start S3 Browser and select the bucket you want to change storage class for. 3. 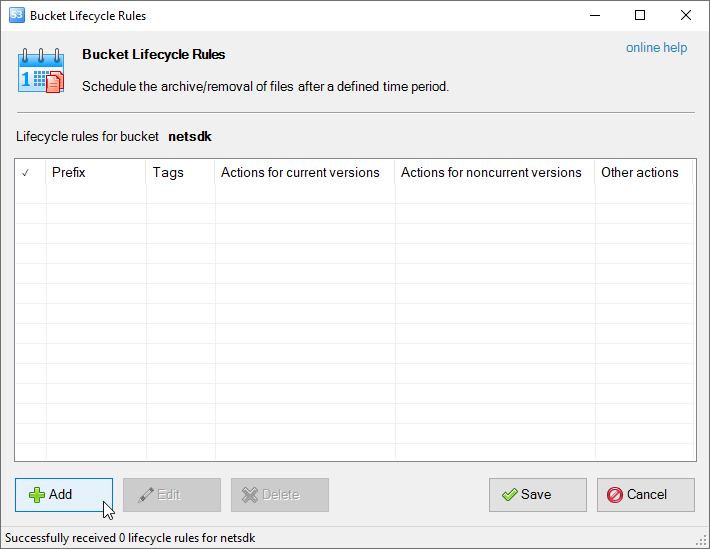 S3 Browser will apply selected storage class for all files inside the bucket. If your Amazon S3 Bucket contains a lot of files, this operation may take a while. 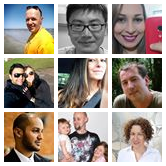 You can significantly increase performance with S3 Browser Pro. It allows you to increase the number of concurrent working threads and thereby process your files much more faster! 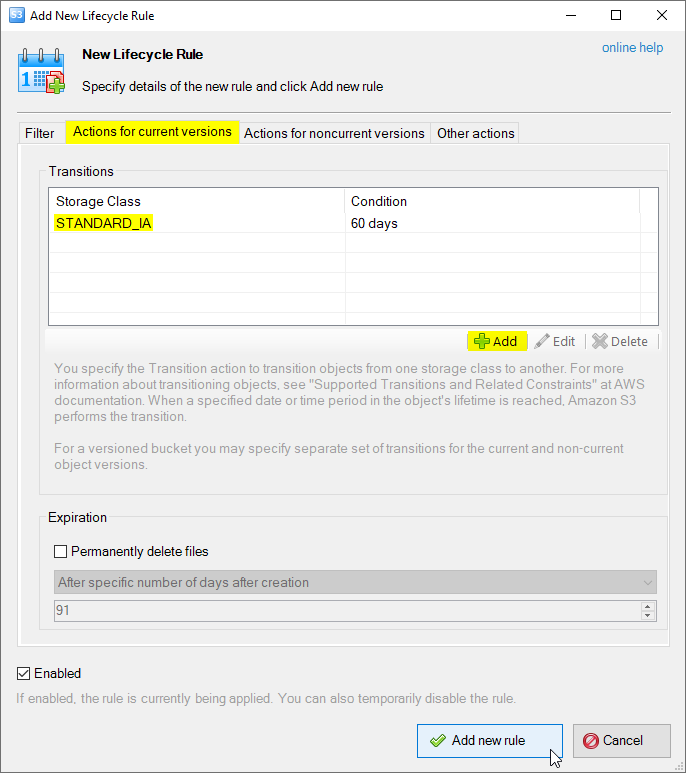 You can configure automatic transition to the Standard-IA storage class via Lifecycle Rules, please check the steps below for detailed instructions. 3. 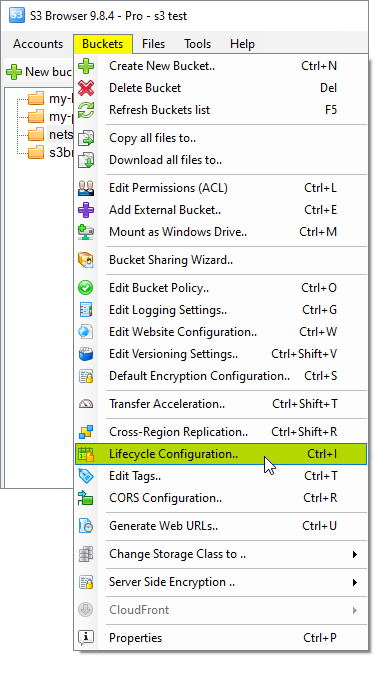 Specify the Prefix - choose the folder if you would like to configure transition to Standard-IA for the particular folder or leave this field empty to apply the Standard-IA storage class for entire bucket. 5. Add new transition to the STANDARD_IA storage class. 6. Click Add new rule to add new rule into the list and Save to apply changes. 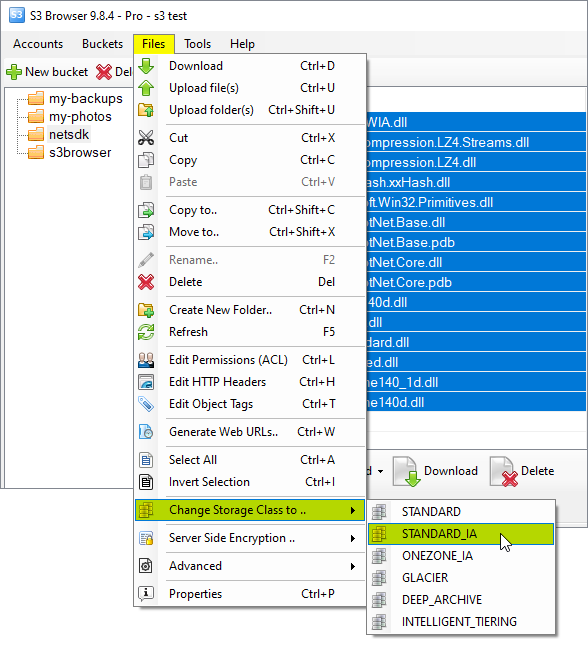 You may configure S3 Browser to automatically apply the Standard-IA storage class for files during uploading. This can be configured via Default Http Headers. 5. Click Add new header to add new header.